Meet at Highfield Interchange (the main bus stop on campus) and we will walk to Sprinkles together. 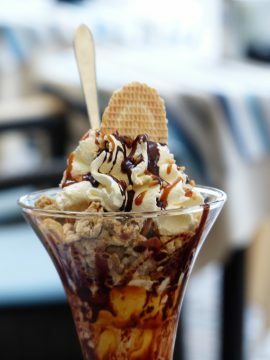 Indulge in a sweet treat at one of Southampton’s finest ice cream and waffle parlours. Meet us at Avenue Campus and we will walk to Richard Taunton College Sports Hall together. All abilities are welcome to join in with some sporty fun as we have a game of badminton and basketball. Learn how to get around in the UK and practice your English! Celebrate the start of the weekend with some free BBQ food and a chance to make new friends. Join us for a day trip to the beautiful city of Bath!